(4) Any other policy developed by Les Mills from time to time and notified on the Site or any part of the Site, which is expressly incorporated here by reference. "services" means all goods or services we provide to you, including providing you with access to the Site. to any rights you may have pursuant to another agreement with Les Mills, Les Mills grants you a limited license to access and make personal, non-commercial use only of the Sites. Any other copying, redistribution, retransmission or publication of any downloaded material is strictly prohibited without the express written consent of Les Mills. Such grant does not include, without limitation: (a) any resale or commercial use of the Sites or its content; (b) the collection and use of any product or service listings or descriptions; (c) making derivative uses of the Sites and its contents; or (d) use of any data mining, robots, or similar data gathering and extraction methods. Except as noted above, you have no right or license by implication, estoppel, or otherwise in or to any patent, trademark, copyright, or proprietary right of Les Mills or any third party. You may not use, frame or utilize framing techniques to enclose any Les Mills trademark, logo or other proprietary information (including the images found on the Sites, the content of any text or the layout/design of any page or form contained on a page) without Les Mills’ express written consent. Further, you may not use any meta tags or any other "hidden text" utilizing a Les Mills name, trademark, service mark, design, logo or product name without Les Mills’ express written consent. If you use any part of the Sites that require a user name or password, then you are responsible for maintaining the confidentiality of that user name and password and for restricting access to your computer, and you agree to accept responsibility for all activities that occur under your account or password. In the event the confidentiality of your account or password is compromised in any manner, you should notify Les Mills immediately. Les Mills reserves the right to take any and all action, as it deems necessary or reasonable, to ensure the security of the Sites and your account including, without limitation, terminating your account, changing your password or requesting additional information to authorize transactions on your account. You hereby certify to us that you are at least 13 years old. Use of the Sites by children under the age of 13 years is strictly prohibited. 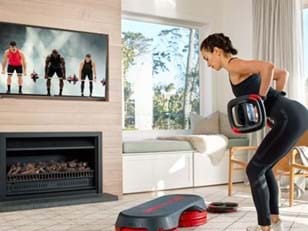 LES MILLS™, the LES MILLS™ Arch device, SHAPE YOUR WORLD™, BODYATTACK™, BODYBALANCE™, BODYCOMBAT™, BODYFLOW®, BODYJAM™, BODYPUMP™, , BODYSTEP™, BODYVIVE™, RPM™, SH’BAM™, CXWORX™, GRIT™, LES MILLS GRIT™, BORN TO MOVE™, SMARTBAR™, SMARTSTEP™, LES MILLS SMARTSTEP™, CLUBCOUNT™ and all other Les Mills trade and service marks and logos, and the Les Mills products and services described in the Sites, are either trademarks, service marks or registered trademarks of Les Mills or its authorised agents, and may not be copied, imitated or used, in whole or in part, without the prior written permission of Les Mills. All page headers, Les Mills custom graphics, button icons, and scripts are the copyright and / or service marks, trademarks, and/or trade dress of Les Mills and may not be copied, imitated, or used, in whole or in part, without the prior written permission of Les Mills. Les Mills’s trade marks, service marks and trade dress may not be used in any manner that is likely to cause confusion amongst the public or in any manner that disparages or discredits Les Mills. All other trademarks, service marks, registered trademarks, product and service names and company names or logos that appear on the Sites are the property of their respective owners, who may or may not be affiliated with, connected to, or sponsored by Les Mills. 9. Responsibility for Your Conduct. Les Mills and third parties offering information, products or services on the Sites attempt to be as accurate as possible. However, Les Mills does not warrant that information, product and service descriptions or other content of the Sites are accurate, complete, reliable, current, or error-free. Despite our efforts, it is possible due to computer or other error or cause that a product or service offered on the Sites may be mispriced or contain an inaccuracy in its description. In the event Les Mills determines that a product or service is mispriced or contains an inaccurate description, Les Mills reserves the right to take any action it deems reasonable and necessary, in its sole discretion, to rectify the error. Les Mills agrees to notify you if it does so. You agree to notify Les Mills immediately if you become aware of any pricing or descriptive errors or inconsistencies with any products or services you order through the Sites and comply with any corrective action taken by Les Mills. Communications made through the Site's email and messaging system shall in no way be deemed to constitute legal notice to Les Mills or any of its officers, employees, agents or representatives, with respect to any existing or potential claim or cause of action against Les Mills or any of its agencies, officers, employees, agents or representatives. (A) Links to the Site. You are granted a limited, non exclusive right to create a hypertext link to the home page of the Sites provided such link does not portray Les Mills or any of its products and services in a false, misleading, derogatory or otherwise defamatory manner. You may not use any Les Mills logo or other proprietary graphic or trademark of Les Mills to link to the Sites without the express written permission of Les Mills. This limited right may be revoked at any time without notice. (A) WARRANTY DISCLAIMER: THE SITES AND THE MATERIALS CONTAINED IN IT ARE PROVIDED BY LMI ON AN "AS IS" AND "AS AVAILABLE" BASIS. Les Mills DISCLAIMS ALL WARRANTIES, EXPRESS OR IMPLIED, INCLUDING, BUT NOT LIMITED TO, IMPLIED WARRANTIES OF MERCHANTABILITY, FITNESS FOR A PARTICULAR PURPOSE, TITLE, AND NON-INFRINGEMENT AS TO THE INFORMATION, MATERIALS, CONTENT, SERVICES AND PRODUCTS ON THE SITES. LES MILLS DOES NOT REPRESENT OR WARRANT THAT THE OPERATION OF THE SITES OR THE MATERIALS IN THE SITES ARE ACCURATE, COMPLETE, RELIABLE, CURRENT, ERROR-FREE, SUBJECT TO CORRECTION OR THAT ANY SUCH MATERIALS AVAILABLE FOR DOWNLOAD FROM THE SITES ARE FREE OF INFECTION OR VIRUSES, WORMS, TROJAN HORSES OR OTHER CODE THAT MANIFESTS CONTAMINATING OR DESTRUCTIVE PROPERTIES. 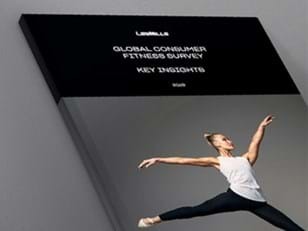 Les Mills IS NOT RESPONSIBLE FOR TYPOGRAPHICAL ERRORS OR OMISSIONS RELATING TO PRICING, TEXT OR PHOTOGRAPHY. WHILE Les Mills ATTEMPTS TO ENSURE YOUR ACCESS AND USE OF THE SITES IS SAFE, Les Mills CANNOT AND DOES NOT REPRESENT OR WARRANT THAT THE SITES OR ITS SERVER(S) WILL BE ERROR-FREE, UNINTERRUPTED, FREE FROM UNAUTHORIZED ACCESS (INCLUDING THIRD PARTY HACKERS OR DENIAL OF SERVICE ATTACKS) OR OTHERWISE MEETS YOUR REQUIREMENTS. YOU EXPRESSLY AGREE THAT USE OF THE SITES, INCLUDING ALL CONTENT, DATA OR SOFTWARE DISTRIBUTED BY, DOWNLOADED OR ACCESSED FROM OR THROUGH THE SITES, IS AT YOUR SOLE RISK AND RESPONSIBILITY. ANY RELIANCE UPON ANY ADVICE, OPINION, STATEMENT OR OTHER INFORMATION DISPLAYED OR DISTRIBUTED THROUGH THE SITES IS AT YOUR SOLE RISK. Les Mills RESERVES THE RIGHT, IN ITS SOLE DISCRETION, AT ANY TIME AND WITHOUT NOTICE, TO CHANGE ANY AND ALL CONTENT CONTAINED ON THE SITES, CORRECT ANY ERRORS OR OMISSIONS IN ANY PORTION OF THE SITES OR TO DENY ACCESS TO THE SITES TO ANYONE AT ANYTIME. Les Mills SHALL HAVE NO LIABILITY ARISING FROM YOUR RELIANCE UPON THE INFORMATION PROVIDED ON THE SITES. REFERENCE TO ANY PRODUCTS, SERVICES, PROCESSES, OR OTHER INFORMATION, BY TRADE NAME, TRADEMARK, MANUFACTURER, SUPPLIER, OR OTHERWISE DOES NOT CONSTITUTE OR IMPLY ENDORSEMENT, SPONSORSHIP OR RECOMMENDATION BY LES MILLS. (B) USER’S RESPONSIBILITY AND RISK: IT IS YOUR SOLE RESPONSIBILITY TO EVALUATE THE ACCURACY, COMPLETENESS AND USEFULNESS OF ALL OPINIONS, ADVICE, SERVICES, MERCHANDISE AND OTHER INFORMATION PROVIDED ON OR THROUGH THE SITES OR ON THE INTERNET GENERALLY. THE INTERNET AND WIRELESS DATA SERVICES CONTAIN UNEDITED MATERIALS SOME OF WHICH ARE SEXUALLY EXPLICIT OR MAY BE OFFENSIVE TO YOU. YOU ACCESS SUCH MATERIALS AT YOUR RISK. Les Mills HAS NO CONTROL OVER AND ACCEPTS NO RESPONSIBILITY WHATSOEVER FOR SUCH MATERIALS. Les Mills SHALL HAVE NO LIABILITY TO YOU FOR USAGE CHARGES RELATED TO ANY DEVICE THAT YOU USE TO ACCESS THE SITES OR UTILISE ANY OF THE FUNCTIONALITY OR SERVICES OFFERED ON THE SITES, INCLUDING, WITHOUT LIMITATION, USAGE CHARGES FOR MOBILE TELEPHONES, PALM OS DEVICES, WINDOWS CE DEVICES, CAR NAVIGATION SYSTEMS, PAGERS, SMARTPHONES AND OTHER DEVICES, WHETHER WIRELESS, WIRELINE, REQUIRING CRADLE SYNCHRONIZATION OR OTHERWISE. The provisions of the paragraphs entitled Third-Party Products and Services, Product and Service Descriptions and Pricing, Disclaimers, Limitation of Liability, and Indemnification are for the benefit of Les Mills and its officers, directors, employees, agents, licensors, suppliers, and any third party information providers to the Sites. Each of these individuals or entities shall have the right to assert and enforce those provisions directly against you on its own behalf.